Angelworks Senior Model Madi's favorite activities include tennis, singing, painting or any form of art, and reading! She says she would like to learn more about the French language, and about France as a country, and her dream job is a pediatrician. Her favorite colors are black and pink, and I would say that she found the perfect romper with both colors! Madi describes her first crush from 1st grade - as a cute little blonde boy with the bluest eyes! Thank you Madi for joining my Class of 2017 Model Team!! 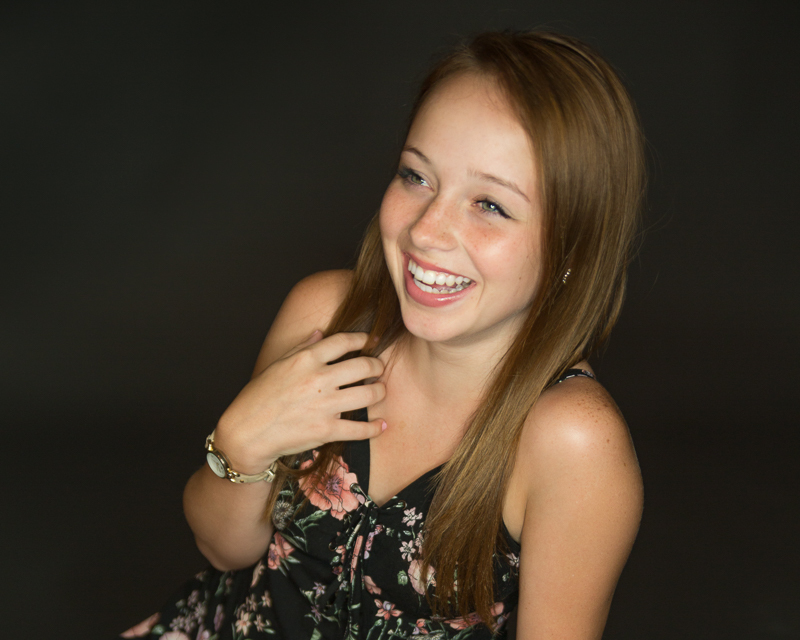 Newer PostPortage Michigan Senior Photographer: Meet Cassidy!